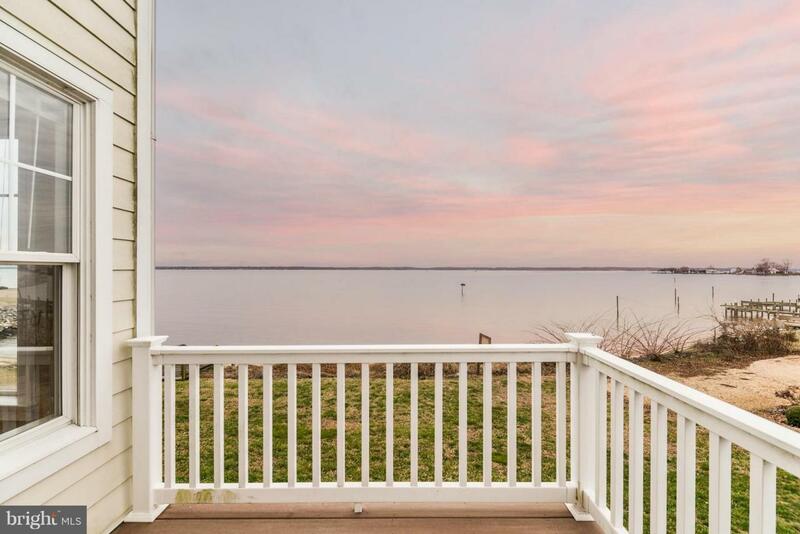 If you are looking for waterfront living, look no further!This gorgeous three bedroom, four full bath home is located in thecharming village of Morattico, a waterfront community with deep water and OUTSTANDING views of the RappahannockRiver and Mulberry Creek. On the 1st floor you will find beautifully polished wood floors with open concept living &dining room combo, gourmet kitchen, a cozy gas fireplace flanked by beautifully crafted built in shelving, anoffice/bedroom and a full bath all with breathtaking water views from every window. On the 2nd floor we have 2 large bedrooms sharing a full bath and a master suite fit for royalty complete with master bath, sitting room, walk-in closetand water views that will blow your mind. A finished walk-out basement with new carpet, fireplace, full bath and 1 cargarage. Forgot to mention the sandy beach, dedicated boat slip, pool and club house! All of this with a fresh coat ofpaint & new carpet. Buyer responsible for all HOA transfer fees. Listing broker & seller assume no responsibility and make no guarantees, warranties or representations as to the availability or accuracy of information herein. All info must be verified by the purchaser. Listing courtesy of Virginia Capital Realty, Llc.